WASHINGTON, DC -- The United State’s 22nd Permanent Representative to NATO, C, has guaranteed Ukraine of the United States support for their induction into NATO. 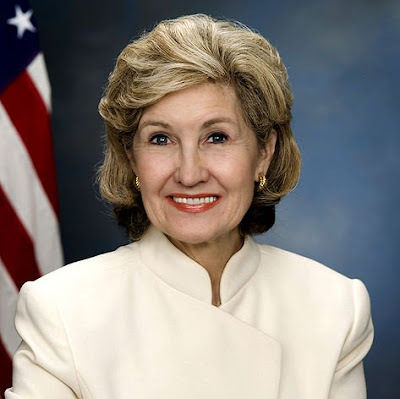 The United State’s 22nd Permanent Representative to NATO, Kay Bailey Hutchison, has guaranteed Ukraine of the United States support for their induction into NATO. She expressed this confidently during a panel discussion at the eleventh Security Forum, which was set-up by the Open Ukraine Fund. She continued to insist that membership in NATO meant far more than just a military alliance. She espoused that it’s a union centered around western values. The Islamic influenced nation of Turkey is a member of NATO and has routinely been accused of human rights violations. Hutchison hopes that eventually Ukraine will embrace the Law on National Security. This would enable the control of Ukraine’s military by democratic and civilian channels. She was also quick to point out that NATO’s stance towards Russian aggression in the region has strategically altered. She added that the United States has assisted Ukraine in defense of its sovereignty by way of military advisement and $850 million in financial support. Ukraine’s potential admittance into NATO comes at a interesting time, when NATO and Russia stand at odds on several fronts. After the recent airstrikes by the United States in Syria and the continued conflict over Crimea, the two superpowers and their allies are in a delicate relationship. Ukraine has pushed to achieve NATO membership for some time now. Presently, testing and evaluation is being done for a new service rifle. A 5.56 caliber M4 variant has been chosen to replace the Kalashnikov based weapon systems that are currently in use. She espoused that it’s a union centered around western values. However Hutchison does not feel that Ukraine is ready yet, adding that, “We want those values that the people on Maidan stood for, to turn out in Ukraine. Ukraine is not there yet. And they cannot be satisfied yet. Only the fight against corruption, the establishment of democratic institutions, including an independent judiciary and anti-corruption courts will establish the long-term principles for combating the external interference and development of Ukraine as a modern European state.